1) Space recognition algorithms find suitable waypoints on two levels (ground and intermediate). 2) Upper and lower waypoints are connected by cutting 'light wells' through the buildings. 3) Agent-based flocking algorithms generate both upper and lower network, finding a middle ground between obstacle avoidance and path length. 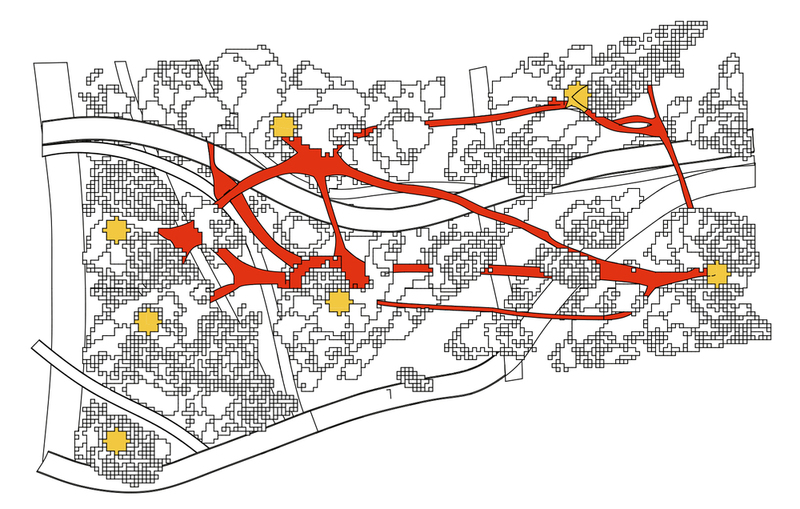 The resulting topology is evaluated using Space Syntax, and its spatial qualities investigated through visualisations.